(HR154-03) 2 Storey European Style Rental House. (CR005-02) Commercial building for rent in good location, near Doi Saket Municipality. 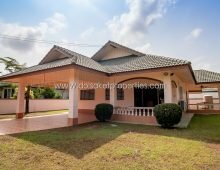 (HR159-04) 2 Storey fully furnished wooden house for rent in Doisaket. (HR158-03) Brand New Fully Furnished Rental House. 3 Bedrooms, 2 Bathrooms, San Nameng, San Sai. (HR157-03) Brand New Fully Furnished Rental House. 3 Bedrooms, 2 Bathrooms, San Nameng, San Sai. (HR156-03) Brand New Single Storey Rental House Ready to move in. 3 Bedrooms and 3 Bathrooms with fully furnished. (HR144-01) House for Rent in a beautiful and quiet area Nong Yaeng, San Sai. (HR145-03)Single storey house for rent in a Moo Baan, Doi Saket. (CDR005-01)Condominium for rent near the CBP Project Shopping Center Chiang Mai. (HR026-03)House for rent. Great location for a small business in Doisaket. (HR024-02) House for Rent in a beautiful and quiet area Doi Saket.